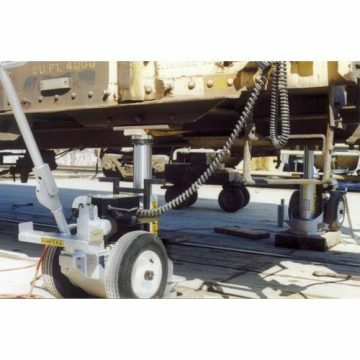 With a wide variety of models ranging from 50-200 tons capacity and a choice of air-hydraulic or electric-hydraulic units, Buffalo Hydraulic has a railcar jacks solution that’s safe and efficient! 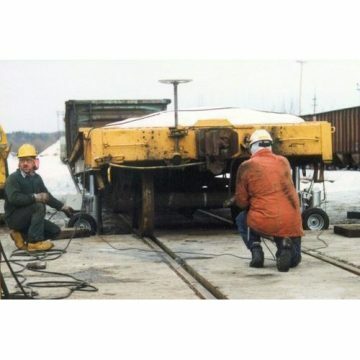 With decades of experience in the railroad industry and hundreds of satisfied carshops, we’d appreciate the opportunity to work with you to provide you with the right railcar jacking system! 60, 100, 150 and 200 tons capacity models available. 115, 230 VAC and air driven hydraulic pumps to choose from. 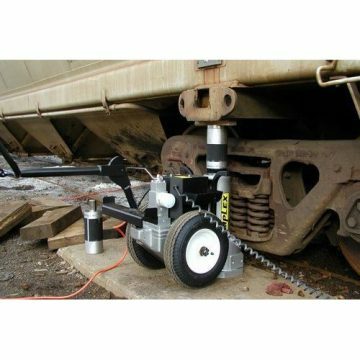 14, 16 and 27″ models safely provide the required amount of lift to clear the center pin an all railcars. 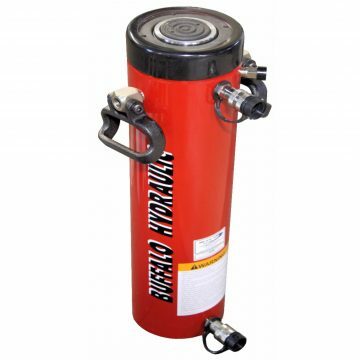 Fully self-contained with ergonomic, multi-position handles. 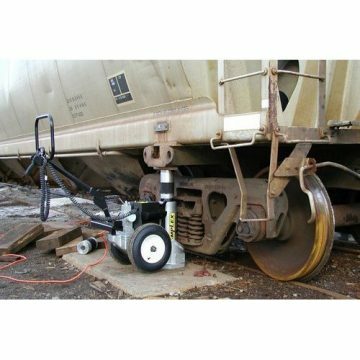 Large tire footprint provides mobility with ease around the rail yard. 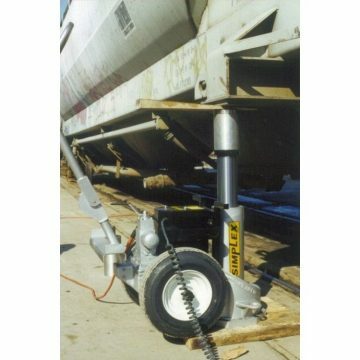 Optional height extensions ranging from 1 – 20″ easily increase the starting height. Stackable, engineered U-Rings create mechanical load holding. 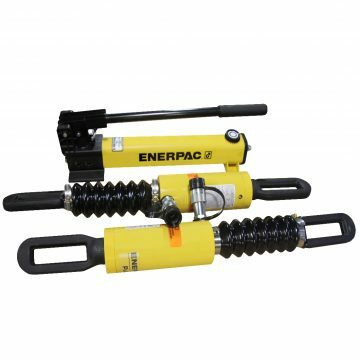 20′ handheld, momentary, motor control pendant provides finite lifting and lowering management to the operator. 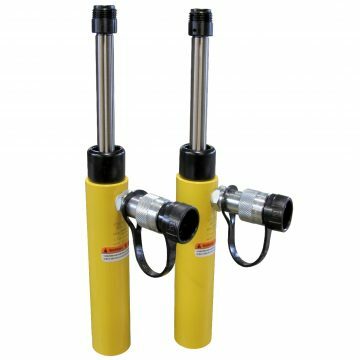 Manually operated directional valve with pilot operated locking feature is standard on all models. 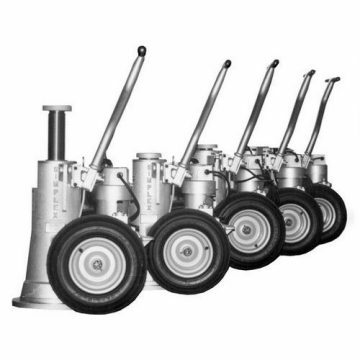 For help finding exactly what you’re searching for, please contact us at Buffalo Hydraulic. We are proud to say we have nearly 70 years experience in the industry and can help you with whatever questions you may have. Please call us at (716) 893-6510 or contact us today!